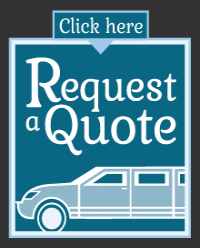 East Coast Limos - the name of the company is due to the heritage of the owners, Keith Rogers (Newfoundland) and Rainer Giberson (New Brunswick). Our focus is to provide a limousine service that is not just about getting our clients from point A to B, but to make sure they experience a luxurious and fun filled "event". Part of our service involves providing those extra touches that make our clients' experience a memorable one, such as providing champagne and chocolates for special occasions, extending trips to include leisurely scenic drives along the Ottawa River, Gatineau hills, and so on. Whether you're looking for an elegant night out or simply a fun day with some friends, look no further; Ottawa's friendliest limousine service, East Coast Limos, has got you covered. From weddings to proms to celebrity events and everything in between, trust that we will provide you with an experience fit for the stars! Have an important business conference or gala to attend? Let us be your first choice for executive limo services - we'll make your corporate event one to remember .. Contact us today and together let's plan an event to remember! Call now: (613) 424-2873 or email us.